William Edward Burghardt Bu Bois, usually known as “W. E. B.” from his initials, was an American civil rights activist, historian, sociologist, and author. He became well known for his participation in the Niagara Movement in the early 20th century, but his activism extended almost up until his death. He was the first African American to receive a doctorate from Harvard University, and was the joint founder of the National Association for the Advancement of Colored People (NAACP). 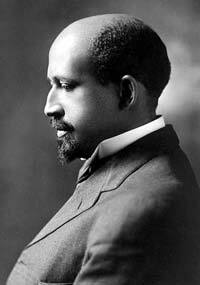 Du Bois was born in Great Barrington, Massachusetts, in February 1868. Unusually for the time, his mother’s side of the family was not enslaved; a tiny number of black people in the town had been long-time landowners. His father, however, could trace his ancestry back to West African slaves in the early 18th century. William’s parents separated when he was only two, and his mother was left to support her family. His public school was integrated, and he was able to talk and play with white children, although this did not prevent him from encountering virulent racism from some. Du Bois was quite intellectually capable, and his church’s congregation helped pay for tuition for a college education. He went to Nashville’s Fisk University, and in Tennessee his eyes were opened to the extent and viciousness of racism in many parts of the South, including lynch mobs and Jim Crow laws. After attaining his bachelor’s degree, he moved to Harvard, where he completed a degree in history. In 1891, he won a scholarship for the university’s graduate school for sociology. He visited Berlin and collaborated with the likes of Adolph Wagner, and in 1895 got the first Harvard Ph.D. ever awarded to a black student. At the end of the 19th century, Booker T. Washington had arrived at the Atlanta Compromise with the white leaders who dominated the South after Reconstruction broke down. This allowed black people certain limited rights, for example in the justice system, but denied them the franchise, equality in employment, and others. Du Bois was unwilling to accept what he saw as a humiliating agreement, and joined forces with fellow activists to press for full civil rights. Du Bois strongly believed that intellectual opportunities for talented blacks were vital, and that African American leadership would progress only with advanced education. Du Bois quickly became known for his forceful yet cogently argued polemics. He was especially forceful on the brutal lynch culture that existed in parts of the South. On one occasion, he actually saw the burned knuckles of a lynched man being displayed in a shop window as though they were some kind of trophy. Du Bois also spoke out against Jim Crow laws, as well as employment discrimination. He was a Pan-Africanist who believed that all people of color needed support to fight for their rights, while he also supported Asians suffering from the imperialist attitudes of Western colonial powers. Du Bois wrote a large number of books and essays, and his 1935 book Black Reconstruction in America was important for dismantling the easy assumption that Reconstruction had failed because the black population was insufficiently committed to it. He was a world-class sociologist, producing the infant discipline’s first truly scientific treatise. Du Bois also edited The Crisis, the journal of the NAACP, and was outspoken in his distaste for the capitalist system, although he was never a communist. After World War Two, he joined the anti-nuclear movement. He died in August, 1963, less than a year before the enacting of the Civil Rights Act.